Wayne State University Press, 9780814343241, 187pp. 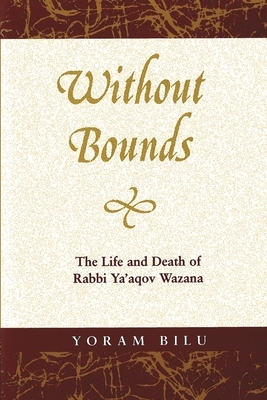 Without Bounds illuminates the life of the mysterious Rabbi Ya'aqov Wazana, a Jewish healer who worked in the Western High Atlas region in southern Morocco and died there in the early 1950s. Impressed by his healing powers and shamanic virtuosity, Moroccan Jews are intrigued by his lifestyle and contacts with the Muslim and the demonic worlds that dangerously blurred his Jewish identity. Based on interviews with Moroccan Jews conducted in the late 1980s, Without Bounds proposes multiple readings of Wazana's life. Yoram Bilu re-creates the influences and important moments in Wazana's life and evaluates his character from psychological and anthropological perspectives. Human- and demon-bound, holy and impure, Jew and Muslim, old and young, Rabbi Ya'aqov Wazana dissolved the boundaries of the major social categories in Morocco and integrated them into his identity.